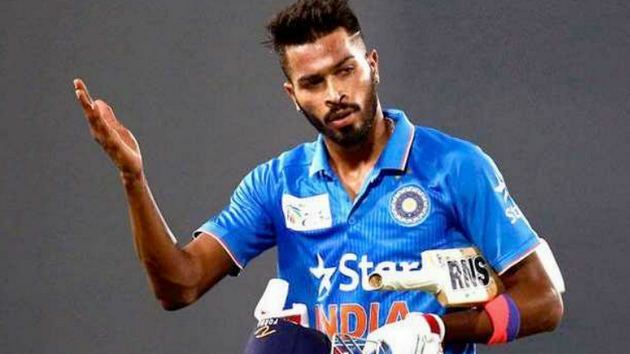 Mumbai: India and Mumbai Indians all-rounder Hardik Pandya has said the last seven months were not easy for him following a back injury, then his comments on a talk show resulted in a suspension. "It feels pretty good to help the team to win and contribute. It's been seven months that I've hardly played games. They weren't easy and I didn't know what to do. I've just batted and batted. I want to improve my game every day. It's a fantastic feeling batting like that and making your team win," Pandya said at the post-match presentation ceremony Wednesday night. ''My only focus is to play IPL and make sure India wins the World Cup. That's why I am practicing the way I am doing right now,'' he added. Pandya was initially suspended by the BCCI and sent back to India from the Australia tour following his comments on a chat show earlier this year. Later, the suspension was provisionally lifted pending an inquiry. Pandya who smashed unbeaten 25 off just eight balls as Mumbai posted a challenging 170/5 against Chennai Super Kings at the Wankhede stadium, before scalping 3/20 in four overs, in his team's 37-run win. His three sixes included one off a 'helicopter shot', with MS Dhoni watching from behind the stumps. "I'd like to dedicate Man of the Match award to my family and my friends, who were there for me during my toughest time. Because these seven months have not been easy. I was out and then I didn't know what to do,'' Pandya said.